Bighead Knapweed is native to Eastern Europe and was introduced to North America as an ornamental garden plant. It is sold locally - please do not purchase! It out-competes grasses and other forage species, reducing food sources for wildlife and livestock, and competing with native vegetation for nutrients and light. Eradication efforts of a 4 hectare infestation in Washington state have been ongoing for about 25 years. 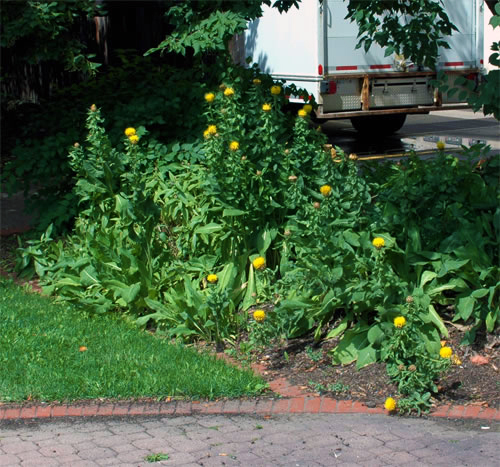 Bighead Knapweed has conspicuously large, yellow flowers that are 3-8 cm wide. 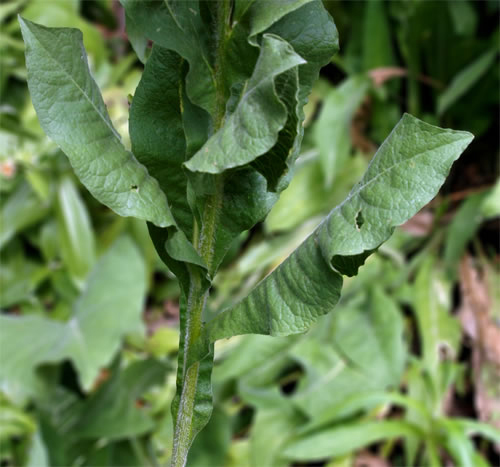 The leaves are large, broad, rough, hairy, lance-shaped leaves with pointed tips. They come out alternating on the stem. The leaves grow pointing upwards and blades of the leaves extend down along the stem creating characteristic vertical “wings” on the stem. This is the largest ‘thistle-like’ plant in Alberta, which makes it easier to identify. Bighead Knapweed grows up to 150 cm tall, usually in a single stalk. Thistles and other Knapweeds when not in bloom. 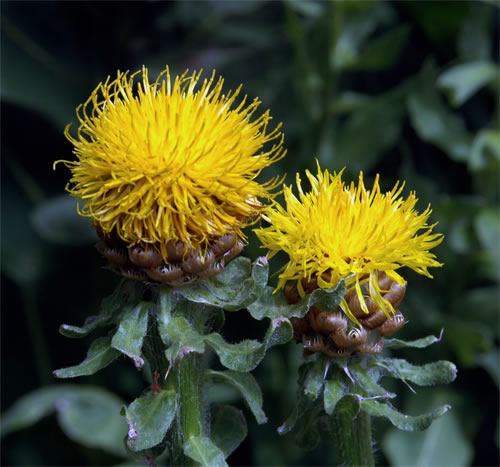 Bachelor’s Buttons - Centaurea montana - and related garden cultivars and hybrids which are ornamental garden plants and fine for you to grow!